"I have goals and dreams that I'm trying to juggle but I also want to spend quality time with my family and friends. I'm trying to balance it all and the result is.... Chaos! Overwhelm! Stress!" Striving for Work/Life Balance simply isn't working for women. In fact, it's the quick route to Burn Out and Dissatisfaction. This is not to say that we can't HAVE IT ALL, it just means the manner we approach our busy lifestyle needs to change to accomodate the flow of being an ambitious modern woman. 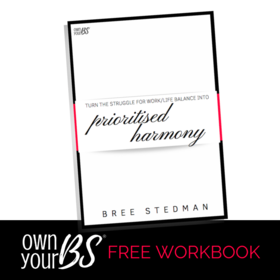 Learn how to turn the Struggle for Work/Life Balance into Prioritised Harmony with these 3 simple (and flexible!) steps. "Bree THANK YOU! You have literally given me oxygen. I am breathing properly, freely and that cough I've had for months and months - well I'm sitting here trying to cough on purpose LOL! If feels like a boulder has lifted off my chest. 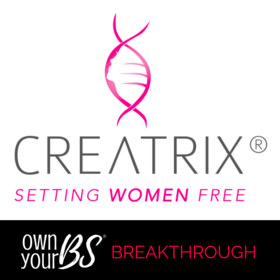 I freakin' love Creatrix®! And you!!! So grateful to you "
Ever feel like you're having the same conversation over and over again in the hopes of making sense of what's going on, only to realise that the person you're talking to is yourself and the answers you're getting aren't actually helping?! It's a one-sided conversation of sabotaging, non-constructive chatter. Self Talk and the accompanying emotions have the ability to make OR BREAK your goals and dreams. 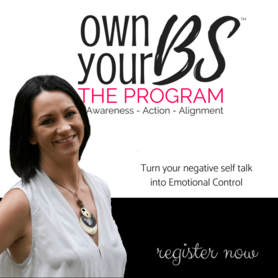 Learn HOW to turn those thoughts into Emotional Confidence with this 6 week online program. 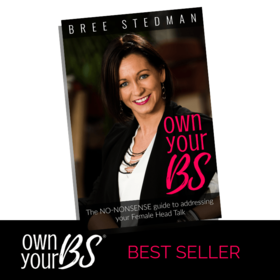 There are thousands of Self-Help books available to help women develop confidence in themselves and their dreams and yet women are more stuck in Negative Head Talk than ever before. WHY? Because most Self-Help books are written with a logical, male point of view in mind. 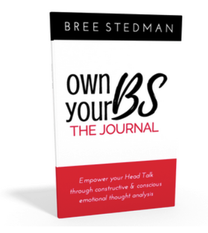 Without the fluff and rah-rah of 'just visualise' and 'think positive', Own Your BS provides practical and powerful strategies and tools to get a grip on stories like "I'm not good enough," "I'll fail," "she is better than me" and "I should...." by understanding what drives these stories in the first place. You've been on the merry-go-round of 'healing' for as long as you can remember, trying EVERYTHING, reading all the books, doing all the courses and listening to all the gurus but you CAN'T LET IT GO! The insecurities, doubts, fears and hurts. 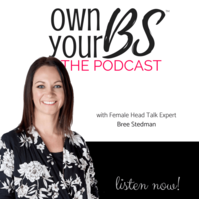 You're an ambitious woman and you have things to do and achieve in your life! AND you want more than just 'feeling good' for a short time.... you want LONG-TERM release from it ALL.